How Do I Delete My IBM Watson Media Account? Hover over your username in the upper right corner and click on "Dashboard"
Scroll down and click on "Delete Account"
Your account is now deleted. 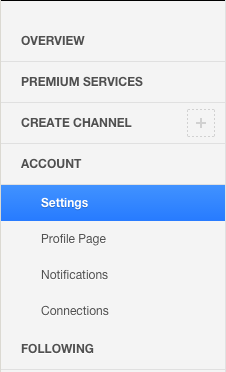 NOTE: If you are deleting a Pro Broadcasting account, please be aware that the feature sets on each plan may change between signup periods. 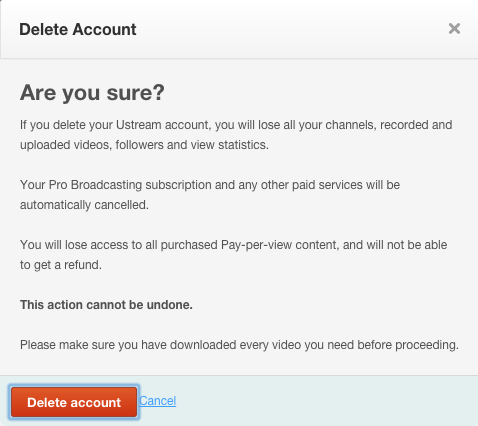 How to delete my channel?